Cognition and the Built Environment argues that interacting with our built environment, as users and as architects, is a cognitive process. It claims that architecture, in its form and meaning, is a basic, embodied level of human cognition. The assumption is that we and our built environment together form an intelligent system, a cognitive feedback loop between us and the world of which we are part. With this as a vantage point, the book discusses the meaning and intelligence of concrete architectural environments as well as the agency of the architect, of his client and of the user. The inquiry oscillates between abstract thought, topological models and cognitive semiotics, between pragmatist philosophy and the professional practice of planning cities, developing projects and using objects. Architecture serves more complex purposes than our caves, paths and landmarks did. 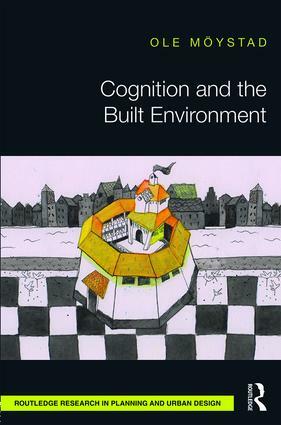 Written for students and academics of urban design, urban planning and architectural theory, Cognition and the Built Environment argues that human cognition feeds on the interaction between thought, agency and built environment, and that architecture is the spatial form of this interaction. Ole Möystad defended his PhD on architecture and cognitive semiotics in 1994. He has pursued this topic through academic as well as professional work in Beirut, Oslo, Trondheim, Lisbon, Barcelona, Asmara, Xi’an, Delft and Brussels. He is Professor in the Faculty of Architecture and Fine Art, Norwegian University of Science and Technology (NTNU), Norway, and head of The Urban Trigger Group.